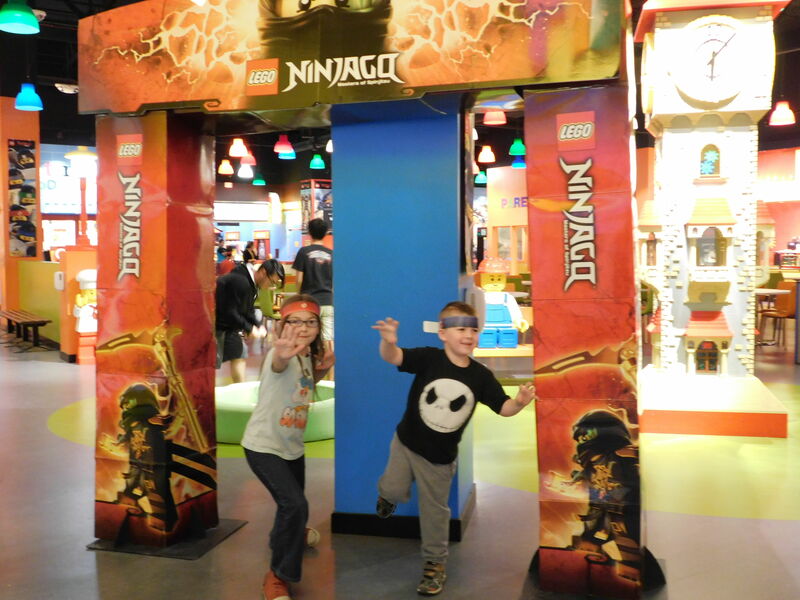 Burning Moon's Inside advice: New Ninjago 4D movie @ The AZ Legoland Discovery Center . New Ninjago 4D movie @ The AZ Legoland Discovery Center . 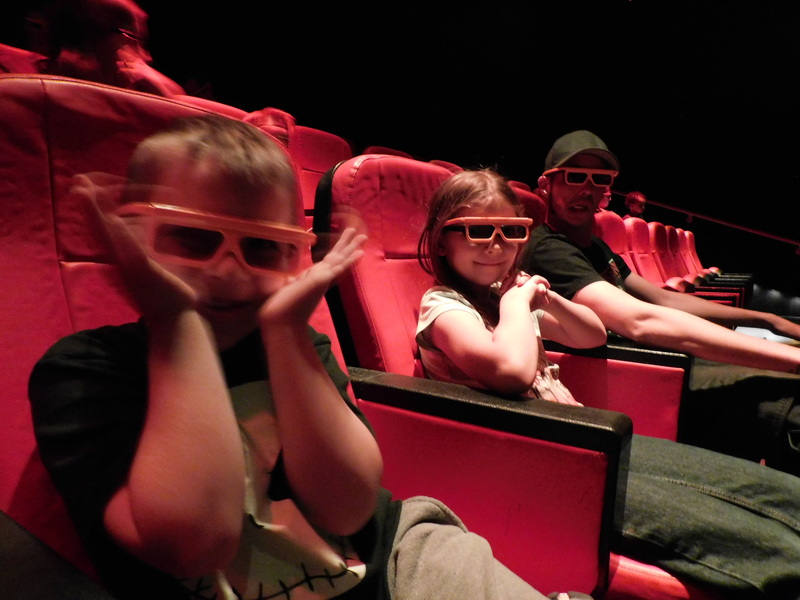 Did you know that the Legoland Discovery Center locations have a small movie theater inside of them? I knew they had the movie area but until now I had never been inside of it and I was quite surprised how many people fit into the theater. What is the difference between a 3D movie and a 4D movie? 3D movies are just a visual that make it seem as though objects on the screen are popping out and are close to you. During a 4D movie you get the same experience except they add in extras effects to make you feel like you are in the movie which can range from wind gusts to smells. Normally on a regular day you can buy a Legoland Discovery Center pass and they show different 4D shorts through out the day and you get to see as many of them as you'd like. For the preview night we attended they were showing just the Ninjago short so we decided to go into the second showing a play with the Lego brick bins while we waited. The short was about twenty minutes long which is close to the length of the Ninjago show so the kids were pretty happy. My kids have never been in a 3D or 4D movie before so they were both blown away, in fact my son kept trying to grab the objects that were popping out from the screen. What 4D effects did they add? During one scene they have snow that spreads out across the screen so they had two bubble machines pumping a small amount of bubbles into the room to make it look like it was snowing. They also had wind and some light water misting going on to match up with the short. Ticket prices into the center are $20 walk in or $15 if you buy them online before going. That's a nice experience, my younger daughter would love that. Wow! This looks like it would be so much fun. I’ve never been to legoland but it sounds like a fun trip for my clients (I’m a nanny) glad I came across this! 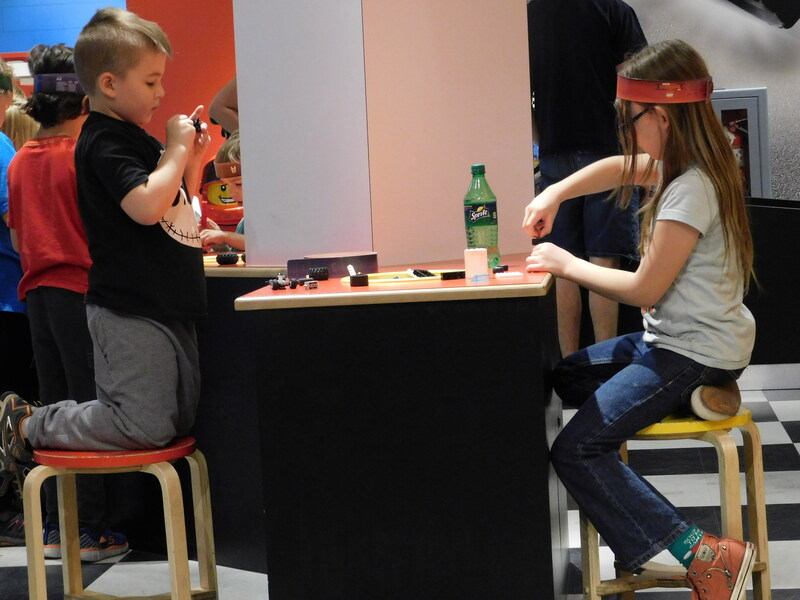 We've been planning to take our kiddos to the Legoland Discovery Center in Philadelphia this summer. It looks like so much fun! This was a fun time, my kids loved it! Looks like they had a fun time! We have Legoland in my area, so I’m hoping to take my son in year or so. I have been here once before and my kids loved it, we will have to go back to see all the new stuff. legoland looks like bunches of fun! I really do need to go check this out! So fun!! My boys would go totally crazy for this movie!! I was looking forward to this movie. Sadly it hasn't released in India yet. This is great. I am going to love taking my kids to movies as they get older. This looks like it would be such a fun time My kids would definitely love this! This looks like something my kids would love.